Long run jobs are becoming more and more unprofitable as overcapacity in the market drives down prices. 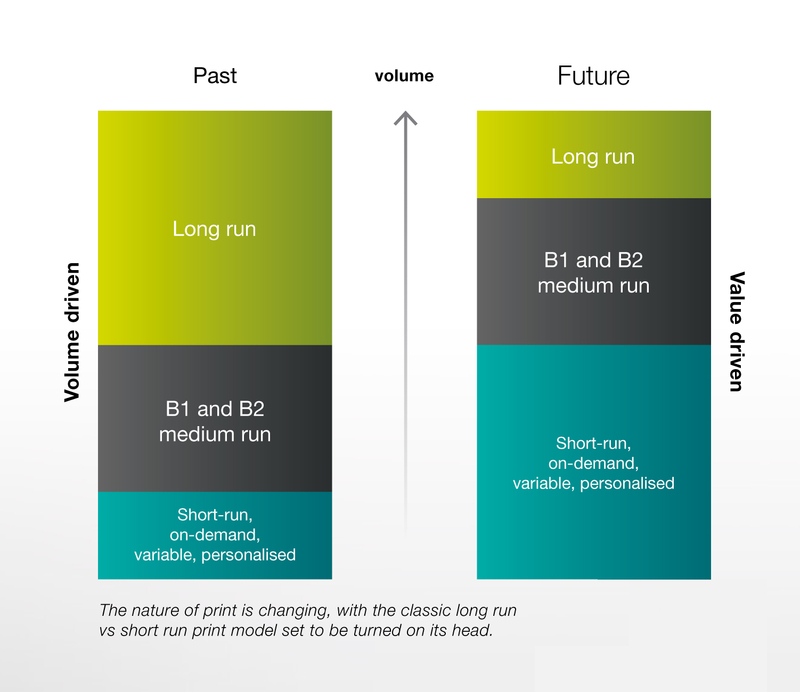 Short runs, fast turnarounds are all standard requirements in today’s fast moving world. B2 inkjet is the perfect technology to address these changing market conditions, and the Jet Press 720S is without doubt the front runner.